CBSE UDAAN, is an initiative by the Central Board of Secondary Education to provide free engineering entrance exam preparation for girl students in India. A very noble and interesting program started by CBSE, the scheme is open to students of all boards of education in India, even apart from CBSE. The primary objective of UDAAN is to empower young girl students of class 11 and 12 to prepare well for the Joint Entrance Examination (JEE). Free of cost preparation resources and continuous assessment and guidance will be provided to selected girl students. Details of the project, and how you can be avail this facility is given below. As per the brochure of UDAAN by CBSE, Udaan is designed to provide a comprehensive platform to deserving girl students who aspire to pursue higher education in engineering, also to assist them to prepare for the entrance examinations while studying in Class XI and XII. Provision of preparatory material through an online portal. Availability of tutorials, videos lectures and study material. Organization of Virtual contact classes at 60 designated city centres. Free of cost pre-loaded tablets. Assessments designed to provide useful feedback on learning. Remedial steps to correct learning. Peer learning and mentoring opportunities for meritorious students. Student helpline services to clarify doubts, monitor student learning and support technology. Constant monitoring and tracking of student progress with feedback to parents. Intensive face to face program for ‘focused group students’ to further enrich their preparedness for JEE (Mains) & JEE (Advanced). All the application are invited for the admission in UDAAN for session 2018. Interested candidates will be able to fill application form, if they will be eligible to do so. All the eligibility criterias are given below. Read the ‘Udaan Brochure’ thoroughly. Fill the application form online and press submit link. Class X marksheet / gradesheet fulfilling the eligibility criteria. After verification, collect filled verification certificate from your school Principal. Take the verified application form along with required documents including verification certificate of the school Principal and confirmation by applicant to the city coordinator of the chosen centre. Submit all your documents to the city coordinator and collect filled acknowledgement receipt of your application and keep it with yourself for later use. 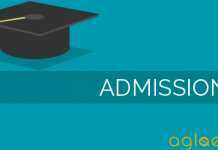 Eligibility to join UDAAN by CBSE? Only Indian citizens will be eligible to apply. All girl students studying in class XI and XII affiliated to any Board in India are eligible to apply based on merit criteria given below. The selection of the students will be based on merit. Indian citizen residing in India. Minimum 70% marks in Class X overall and 80% marks in Science and Mathematics; for Boards which follow CGPA, a minimum CGPA of 8 and a GPA of 9 in Science and Mathematics. The selection of the students will be based on merit and will be considered against the city chosen by the candidate for the weekly virtual contact classes. The selected students will have access to an online portal which will be organized on the basis of classes XI and XII with three subject streams – Physics, Chemistry and Mathematics. This portal will have content in the form of videos, tutorials and text. Concepts will be organized, based on the learning that will take place in the classroom as per the syllabus of class XI and XII. Once enrolled for the programme, progress of the student will be monitored and tracked on their learning pace. Periodic contact classes will enable update on the progress made by the student. Assessments are built into the learning process and will allow monitoring of student’s learning. Students will have interactive group where they will be able to interact with their peers and teachers. A helpline will be available to the students to clarify their doubts and concerns at any point. Student should have minimum 75% attendance in Udaan weekly assessments for the classes XI and XII each. Student gets admission in IIT/NIT/ centrally funded engineering Institutes. Student is not taking scholarship and/or financial assistance from any other source. A certificate needs to be submitted w.r.t. non-availing any other scholarship/grant/financial assistance from any other organization or institute duly verified by the head of the institution where she will be taking admission to pursue technical education. Student ensures satisfactory performance/ promotion in each term. Parent consent is compulsory for admission into this program. A declaration by the parent that they accept the terms and conditions of the program and are willing to support the student in this effort will be required along with the registration form. Provisional list of selected students of class XI under UDAAN of batch 2018-19 will be uploaded on the official website, Which candidates will also be able to check through the direct links that will be provided later on this page.